Viktor Deni was born in Moscow, Russia, on 8th March, 1893. At 17 he had his first drawings published in the satirical journal Budilink. In 1913 he moved to St Petersburg where his work appeared in the journals Solntse Rossii, Vesna and Satirikon. Eventually Deni became art director of the humorous weekly Bich. 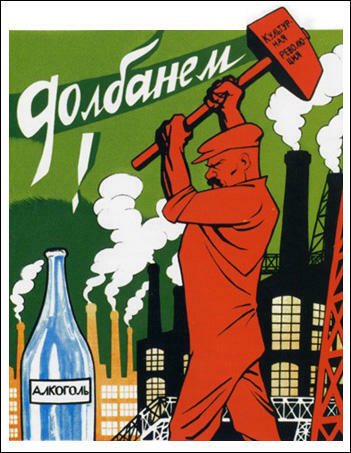 After the Bolshevik Revolution in 1917, Deni concentrated on producing posters in support of communism. 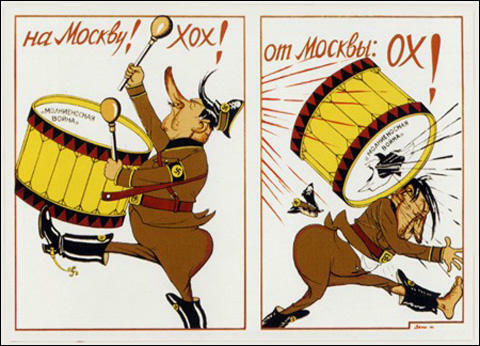 According to Maria Lafont, the author of Soviet Posters (2007): "Master of political satire, graphic artist, caricaturist... Viktor Deni may be considered one of the founders of the Soviet political poster." 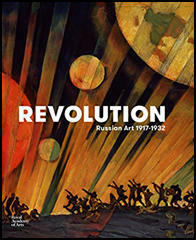 Along with Dmitri Orlov, Deni became a leading poster artist during the post-revolution period. 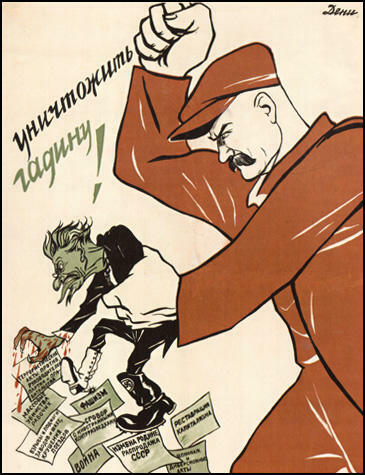 In November, 1920, Deni designed the first significant political poster featuring Lenin. Based on an earlier drawing by Mikhail Cheremnykh, The "Deni poster depicts Lenin standing on the globe, sweeping with a large broom. He towers over his enemies (tsar, priest and capitalist) who are pictured as small satirical figures leaping to escape the broom." 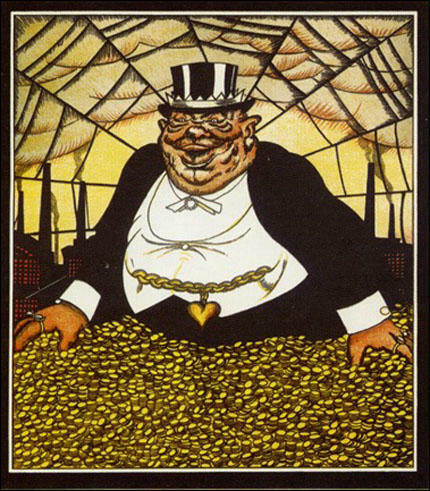 In 1921 Deni was employed by Pravda, the Communist Party daily newspaper, to produce political cartoons. This included attacks on Leon Trotsky who during the Russian Civil War was represented in one drawing as St. George slaying the dragon of counter-revolution. For example, the cartoon, Destroy the Creep! (1937) had the accompanying text: "Terrorist acts against the party chiefs and government. Mass murders of workers. Explosions and arsons of factories and mines, destruction of trains. Fascism. Agreements with foreign intelligence. Treason against the Motherland... 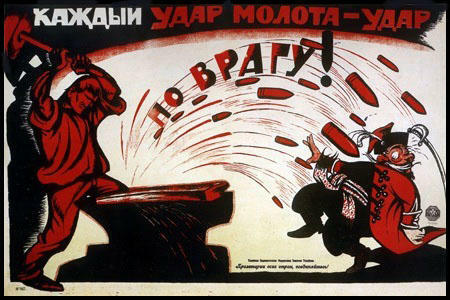 Wipe Trotsky, enemy of the state, and his bloody fascist gang from the surface of the Earth!" After the Soviet Union had entered the Second World War Deni was used to provide posters and cartoons attacking Adolf Hitler and Nazi Germany. This included To Moscow! Hoch! From Moscow! Oh! 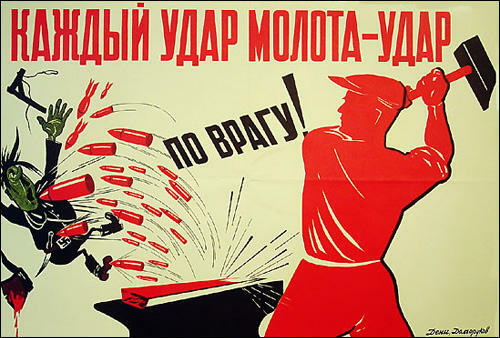 (1941) and Each strike of your hammer hits the enemy! (1941). Viktor Deni died on 3rd August 1946. Viktor Deni may be considered one of the founders of the Soviet political poster. 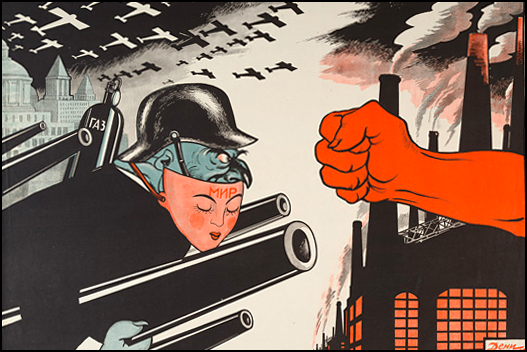 Master of political satire, graphic artist, caricaturist; in pre-revolutionary Russia, he worked on magazine illustrations; in the post-revolutionary period he concentrated on political poster design and contributed drawings and cartoons to leading magazines and newspapers. From 1921 onwards, a permanent contributor to Pravda newspaper. 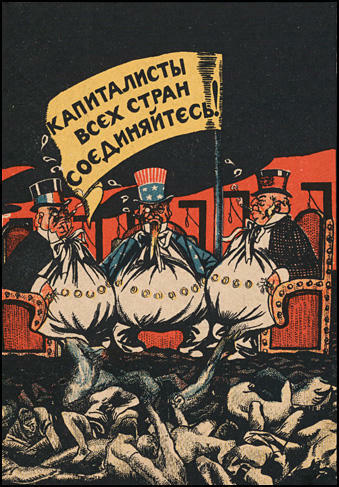 The year 1920 witnessed some important shifts in the style of visual propaganda... In this atmosphere of rapid change in political art, Viktor Deni designed the first significant political poster featuring Lenin. Issued in November, 1920, Comrade Lenin Cleanes the Earth of Scum, presented a more elaborate version of Mikhail Cheremnykh's November 1918 newspaper drawing. 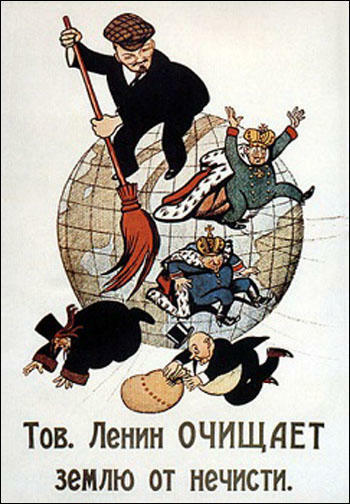 The Deni poster depicts Lenin standing on the globe, sweeping with a large broom. 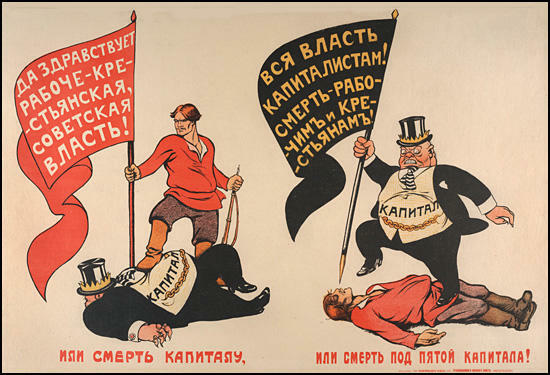 He towers over his enemies (tsar, priest and capitalist) who are pictured as small satirical figures leaping to escape the broom. The Bolsheviks equipped and mobilized agitational propaganda trains during the Civil War, sending them to all parts of Russia to inform the population about the ongoing struggles in defence of the revolution and to help organise lectures, meetings and discussions on the meaning of the new workers' state. The first train named after Lenin, went into service on August 13, 1918. 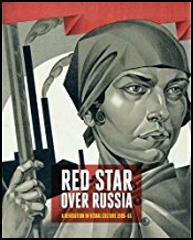 Others soon followed, bearing titles such as "October Revolution", "Red East", "Soviet Caucasus" and "Red Cossack". The carriages were famously decorated with paintings, graphic or satirical, on subjects that reflected the names of the trains and the places where they were headed.